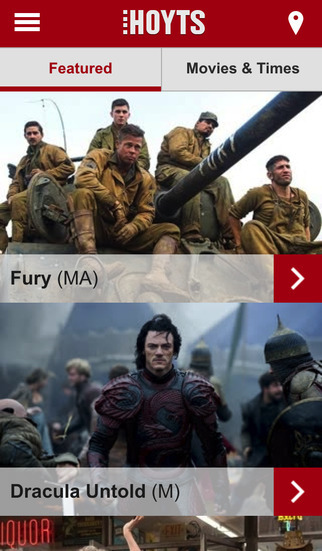 Watch trailers, find out movie information and view session times at your favourite cinema(s), select seats and buy tickets all from the palm of your hand! 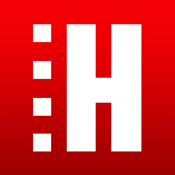 Make use of HOYTS express cues or kiosks at selected cinemas to quickly immerse yourself in the movie going experience. - Printing tickets is a thing of the past! Use the app to access tickets purchased on mobile. 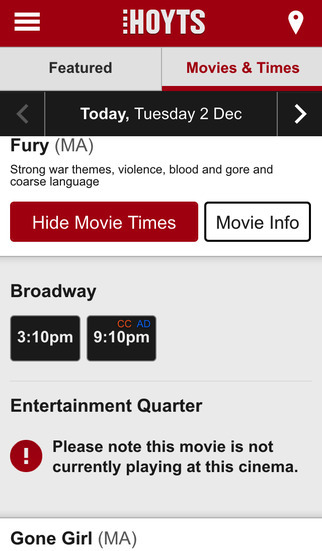 HOYTS members can also see tickets they purchased on hoyts.com.au on their mobile device!